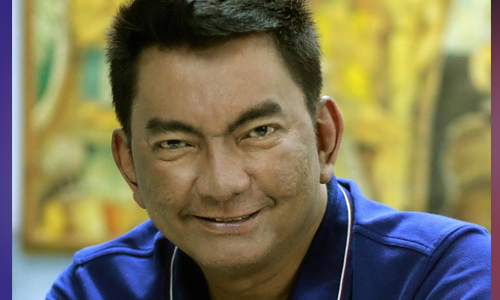 LEGAZPI CITY, Aug. 15 (PNA)-- Albay Rep. Jose Salceda (2nd district) welcomed the “hands on” approach of new Albay Gov. Al Francis Bichara in running the affairs of the provincial government, especially the latter’s move to improve collections from the beneficiaries of the “higher education scheme” of the province. He said he agrees to Bichara's order to collect the PHP30.4 million from the 84,444 student beneficiaries of the Albay Higher Education Contribution Scheme (AHECS) which he implemented during his term. Salceda said to date, the province was only able to collect PHP348,849 from the program’s beneficiaries, which was implemented from 2007 to 2015 under his flagship program of "a college graduate for every Albayano family." “Maybe, it’s time for the beneficiaries to pay, especially those who are working now and earning money, because the province is still paying the debt and interest of the bank loans,” he said. Salceda, who was the governor of Albay before Bichara, said many Albayanos were able to benefit from the AHECS program. He said before he led the provincial government, the Bicol University (BU), which is the premier state university in the region, had only a college population of 13,000 but he said this number had tripled to 35,000 enrollees during his term. “Before, Albay had a low percentage of college population, of only 4.5 percent compared to the national total average of college population of 40 percent,” he said. Salceda added that when the province used to have only 34,000 Albayano college graduates but under his administration, many families were able to send their children to college because of his program of a “lower tuition fee,” or only PHP4,500 per semester in BU. “Of the college enrollees who enjoyed the program of AHECS, 18,000 were able to graduate with different baccalaureate degrees,” he said. Salceda said 26 percent of the college enrollees under the AHECS program, who were able to earn units in college, managed to work in some private companies. He said the “fiscal” type of governance that Bichara seeks to implement is focused on improving tax collections and revenue generating activities. He admitted that despite his expertise as an economist he did not implement the “system of fiscal government” during his nine-year term as governor of the province. Instead, he said, he gave all the responsibility to the department heads and Sangguniang Panlalawigan members to execute some functions of the local chief executives. “Masyadong naging maluwag ang aking administrasyon (my administration has been lenient) in implementing the province’s revenue collection programs,” he added. He cited as example the full responsibility he had given to Provincial Board Member Job Belen in implementing programs on the environment, Ramon Alsua on matters on agriculture, and “RB” Imperial on education concerns.